These days, everyone is trying to capitalize on Disney's Frozen. I mean, I get it. It is the highest grossing animated film of all time. It has been nearly a year, and Frozen mania is still going strong. But at what point does capitalization become just fraud? 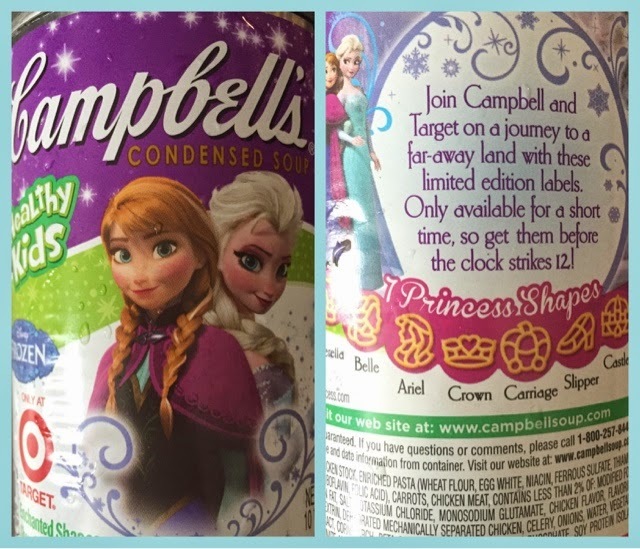 Recently, Campbell's put out a "Target exclusive" Frozen-themed chicken noodle soup to join Campbell's line of other Disney/Pixar-themed soups. Personally, I think the shaped noodles taste like crap, even by overly-processed-and-likely-to-kill-you-slowly food standards [which reminds me, let me cut the Pure Foods Brigade off at the pass. Yes, yes, I know none of this stuff is good for you. Spare me the sanctimommy]; but the kids like it, so… whatever. It is exactly the same. They didn't even try to pretend to change the contents (other than the misleading front label). 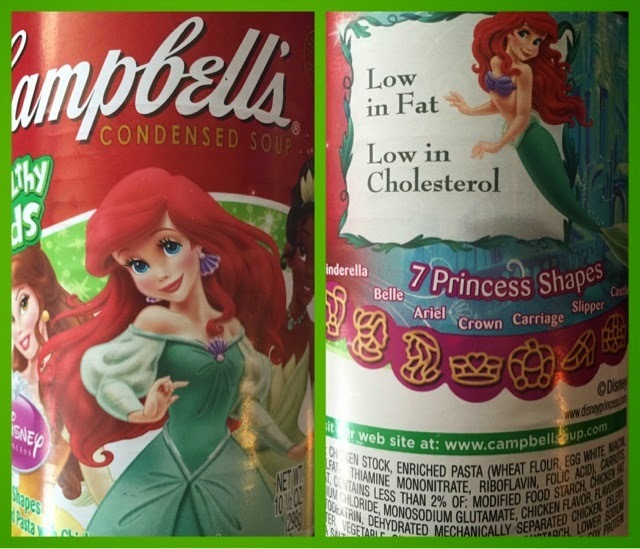 They couldn't even pretend that Arial shape was Elsa? What does a carriage or slipper have to do with Frozen? Campbell's can figure out how to shape an egg white like a castle, but a snowflake is beyond their design capabilities?? Maybe I'm exaggerating, but this one is straddling the line between fraud and laziness. These "enchanted shapes" are no different from the "cool shapes"—not even a little bit. Am I the only one who thinks they barely phoned this one in?